We have many clients who work in multi level marketing and network marketing programs. Here are some examples of mlm business cards that we have created for our network marketing entrepreneurs. 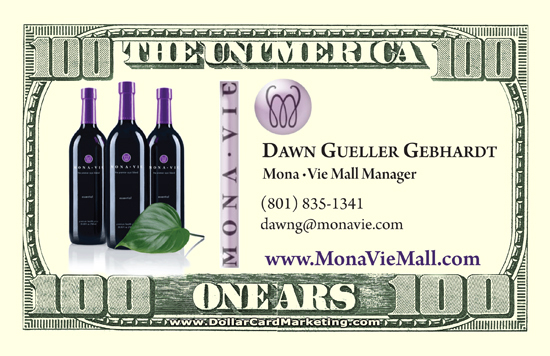 Here’s a $100 dollar bill business card we designed for the Mona Vie Mall.